I have to admit.. the UK has some funky trends that us American’s wouldn’t be used to. (Tennis Shoes with adorable dresses? That’s a first.) But while flipping through the pages of the November issue of Marie Claire, I stumbled upon one trend that I actually loved. I’m a huge fan of the color pink. My room. phone cover, even the majority of my lipsticks are that beautiful shade of blushing rose. So when my eyes fixated on winter coats in my favorite color, you better bet I got more excited than when I found out London had a Cantina Laredo. Apparently, it all started with this.. This M&S (Marks and Spencer) pink duster coat that retails for around £85, or $136 has already sold out in several stores. In fact, one London location has already completely sold out of the pastel manteau and currently have a waiting list of over a hundred. It’s not just the High Street that is seeing the buzz, Valentino and Alexander McQueen both have their own variation of this colorful trend. So why so much frenzy over a coat? Besides making even the strongest haters of pink cringe with all their might, paired with the right outfit and accessories, why not? Call me biased, but it’s refreshing to see a pop of color this winter apart from the standard camel, navy, and black we see every single year. My final verdict? Yes. You go M&S for sparking such a bold trend. I’m so excited to get back to the States and wear my pepto-pink coat around until it’s time to trade it in for the Texas heat. What do you think? 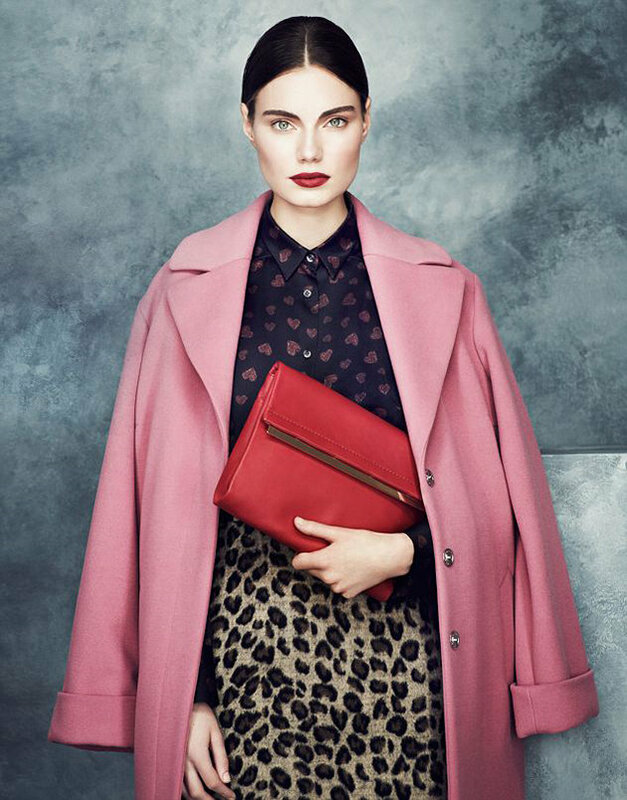 Does this trend make you tickled pink? Or do you think this trend needs to stay behind closed doors? Tweet me @_lolarules and let me know!